In this episode of Macedonian Postcards we discover more of the beautiful Mavrovo National Park. 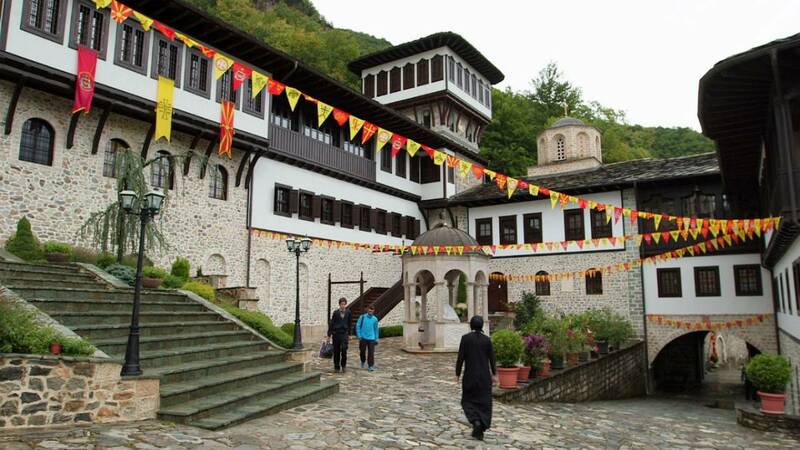 Our visit today is to an ancient monastery set high in the hills, the Bigorski Monastery of St. John the Baptist (Saint Jovan Bigorski Monastery). Some 60 people live here, half of them monks, and they also welcome visitors who want to stay the night. Construction here began at the start of the 11th century and visitors can enjoy many different types of religious artwork. “One of our most spiritual treasures in the monastery is a holy icon of Saint John the Baptist, which was found in the beginning of the 11th century by the monk John, the first founder of this monastery,” said Father Cyril. And here they say miracles have even happened to people who touch the icon.